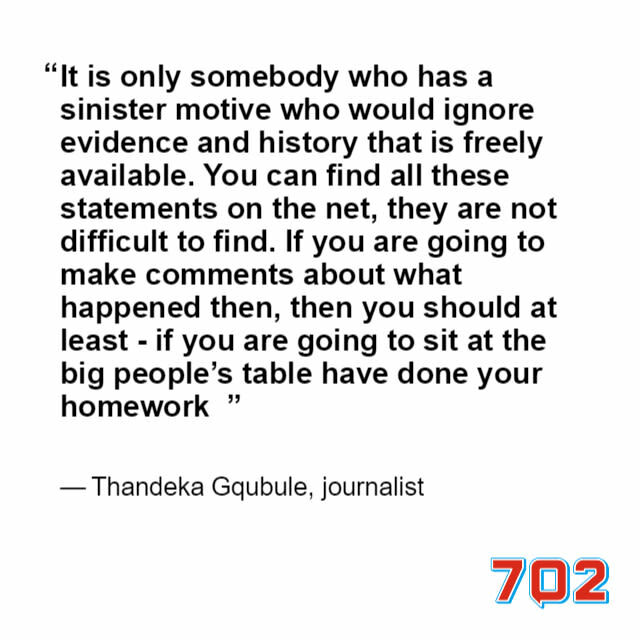 Journalist Thandeka Gqubule has responded to claims that she is part of an alleged group of journalists involved in an apartheid covert operation aimed at discrediting struggle icon Winnie-Madikizela-Mandela. Madikizela-Mandela named the alleged group of journalists in a video clip published on HuffPost SA. The video has now been removed. Gqubule says she will be approaching the High court to request that the intelligence services release historical documents dating back to 1966 to indicate that she has not been paid by anyone other than her employer. It is simply wrong to accuse somebody of something so huge, something that negates their entire life contribution to a struggle for democracy. It is almost like accusing somebody who is Jewish of having been part of the Holocaust. It is important that the public that I serve trusts in my work and that it does not have the taint of biased. I am doing it for my kids, for myself and for my family. 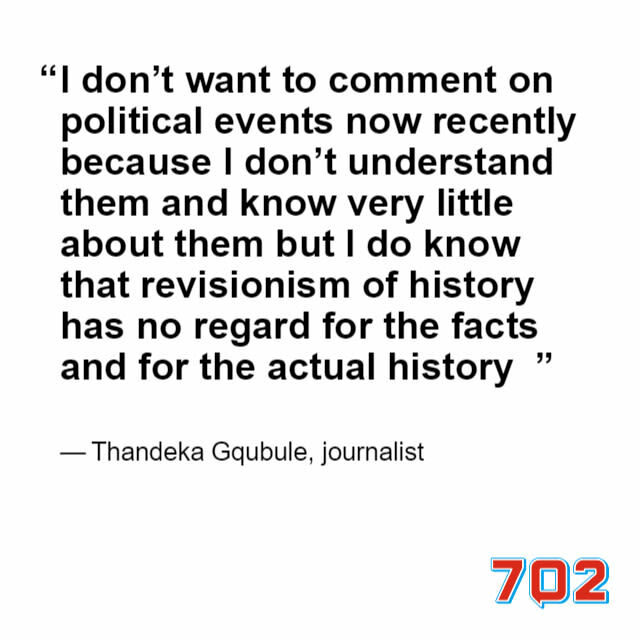 Research Associate of Open Secrets Hennie Van Vuuren gives his take on the latest move to to get apartheid documents declassified. The new SABC board deputy chair chats with Eusebius McKaiser about the independence and governance of the public broadcaster. New SABC deputy chair Potgieter-Gqubule says SABC finances, staff morale, and editorial independence are top priorities.